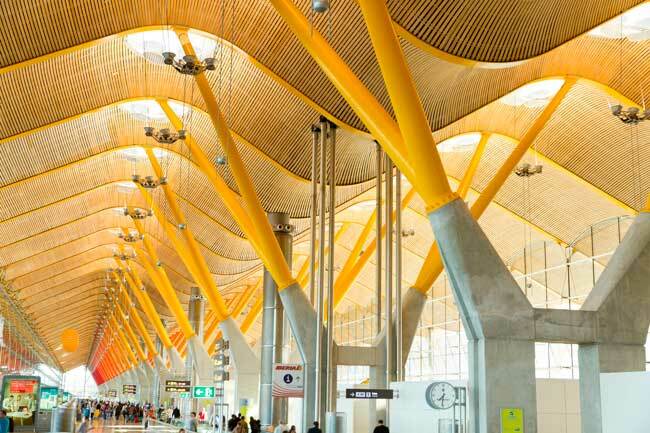 Use this website to quickly find the most important information about the main airport in Madrid, called Adolfo Suárez Madrid-Barajas Airport: Flights, Departures, Arrivals, Parking, Car Rental, Hotels near the airport and other information about Madrid Airport. Plan your travel to MAD Airport with the information provided in this site. Madrid Airport, officially known as Adolfo Suárez Madrid-Barajas Airport (IATA: MAD, ICAO: LEMD) is located in the district of Barajas, within the city limits of Madrid, 9 km from the financial district. Along with Barcelona-El Prat Airport,is the main international and busiest airport serving Spain. Adolfo Suárez Madrid-Barajas Airport (IATA: MAD, ICAO: LEMD) has 5 passenger Terminals. MAD Airport handled 53,402,506 passengers in 2017. Madrid Airport is the main hub for Iberia. 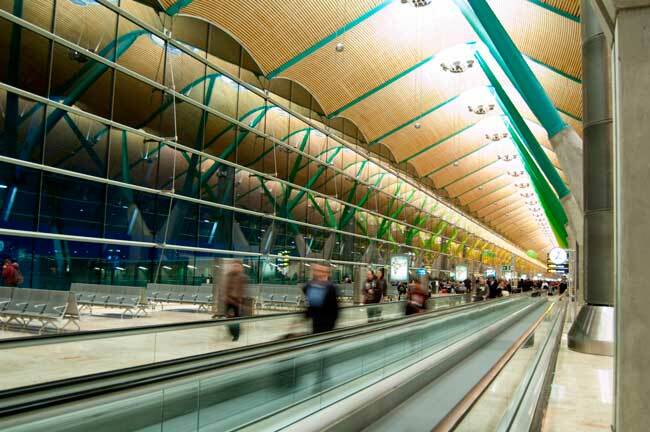 In 2014 the Airport name was changed to Adolfo Suárez Madrid Barajas Airport. Madrid Airport (MAD) is located 9 km from the city centre. In 2017, Adolfo Suárez Madrid-Barajas Airport (MAD) handled 53,402,506 passengers, increasing gradually its traffic figures and breaking records year by year. 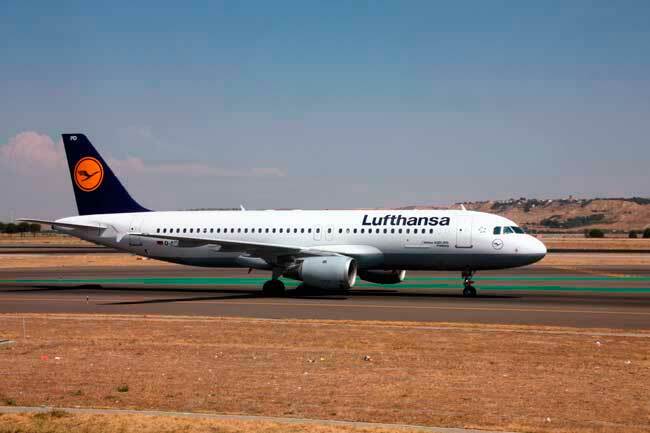 The top destinations from Madrid Airport are European airports, such as Lisbon, London, Paris, Rome, Frankfurt, and Amsterdam. 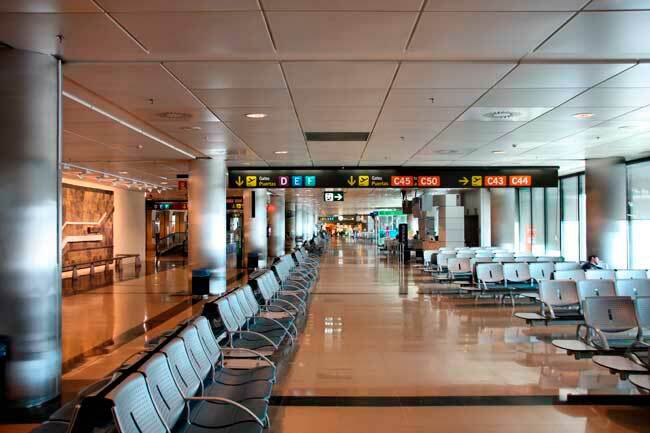 Madrid Airport consists of 5 passenger Terminals (1, 2, 3, 4 and 4S). Terminal 3 is barely used, just as a support of Terminal 2. Other services offered are the Premium Air rooms, VIP lounges to avoid cues and traffic, Family facilities (as playground and nursery), several meeting rooms and prayer rooms, etc. - Train: C-1 RENFE Cercanías line links Madrid Airport with the city centre every 30 minutes. 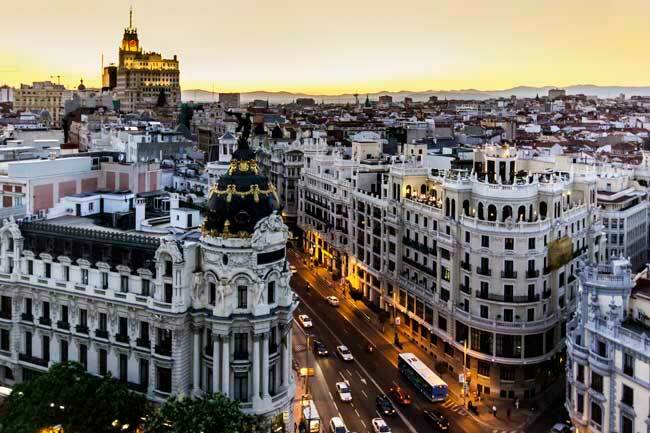 - Taxi: Get within 50 minutes to downtown Madrid by taxi. Expect a flat fare of 30 € for rides originating from Madrid Airport. Originally, the name of Madrid Airport was Madrid-Barajas Airport, but in 2014 it was renamed to Adolfo Suárez Madrid-Barajas Airport, as a recognition to the former Spanish Prime Minister Adolfo Suárez, the first democratic Prime Minister after the dictature of Francisco Franco. Terminal 1: Arrivals hall (level 0): From 07:00 am to 10:00 pm. Terminal 4: Arrivals hall (level 0): From 07:00 am to 10:00 pm.